U.S. Electrical Services, Inc. is proud to partner with Virgin Pulse to provide our wellness program; making living better every day a priority. All employees are eligible to participate regardless of their medical plan enrollment or health status. We encourage you to get involved, make healthy choices, be well together, and motivate each other to improve our wellbeing as individuals and as an organization. In a time when we are all moving at lightning speed and are often “too busy”, it is essential we carve out time and attention to focus on ourselves every single day. With the Virgin Pulse program, we’ll get fun and engaging challenges, helpful content, wearable fitness devices, and tools to encourage you to make wellbeing a priority. It goes beyond physical wellness by helping us make healthy, long-lasting behavior changes for more energy, focus and drive. As an added bonus, you’ll have the opportunity to earn points and rewards too! To participate in Wellness program, you will have your biometric screenings performed at your physician’s office during your routine annual physical (Biometric form is available on Virgin Pulse website). You will also take an on-line Health Risk Assessment on the Virgin Pulse portal and participate in our many challenges offered across the company. The Virgin Pulse portal uses a mobile first approach to ensure success anywhere, any­time, whether on a mobile device, computer or tablet. 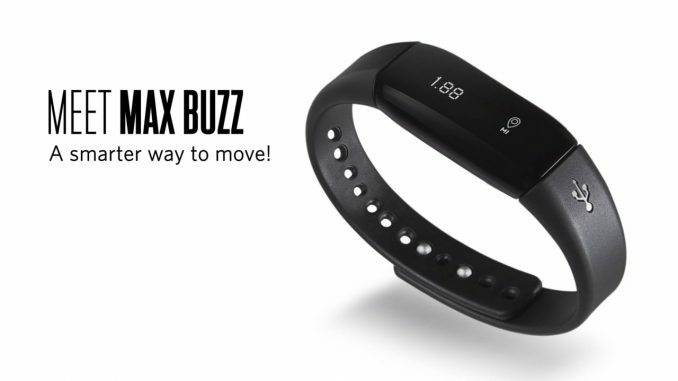 As an incentive, we are rewarding each employee that registers on the Virgin Pulse site and completes their Health Risk Assessment with a Max Buzz Activity Tracker! Max Buzz™ is a sleek, water-resistant daily activity tracker designed to work exclusively with your mobile Virgin Pulse account. It tracks your steps, distance, sleep, calo­ries burned, and active minutes. Max Buzz™ also sends you text notifications. It’s a smarter way to move and get rewarded with Virgin Pulse. Note: The Max Buzz™ is only compatible with smartphones that have the Virgin Pulse mobile app installed, specifically Android 5.0 and iOS 10 and above. Information provided to Virgin Pulse is completely confidential and is used by them to manage the program.